Amazon Studios has released the first trailer for A Head Full of Dreams, which is a documentary that chronicles the 20-year history of the band Coldplay. Music documentaries can be a very mixed bag. A lot of times, the ego of the artist supersedes the integrity of the film, to the point that the doc only provides a narrow view of its subject with the edges smoothed off. Although there are certainly some docs that genuinely dig deep into the good, the bad, and the ugly, like Foo Fighters’ Back and Forth or Jonathan Demme’s iconic Stop Making Sense, which chronicled the crumbling of Talking Heads. 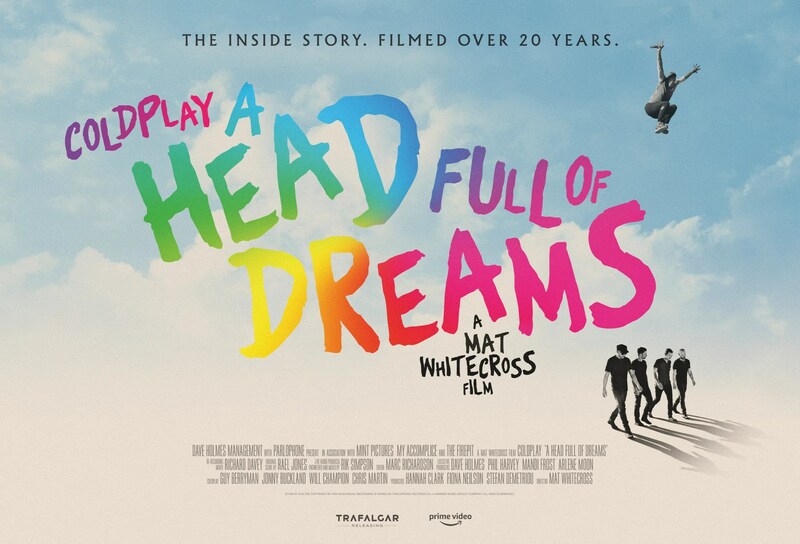 It’s unclear from this trailer where Head Full of Dreams will fall, but at the very least it appears the film will attempt to cover some of the rockier territory that Coldplay navigated throughout their career. They’re a unique band in that they became massively popular after breaking out from the sort of indie scene, but then suddenly it was “uncool” to like Coldplay, and they gained a reputation for being bland and unimaginative despite selling out arena after arena. I’m curious to see what the band’s perspective on all of this entails, and it thankfully looks like this film might dig into that a bit. Check out the Head Full of Dreams trailer below. Directed by Mat Whitecross (who helmed the Oasis doc Supersonic), the film will be available on Amazon Prime Video on November 14th, at which point three live recordings will also debut on Amazon Music. The film will also be available in cinemas for one night only on November 14th.